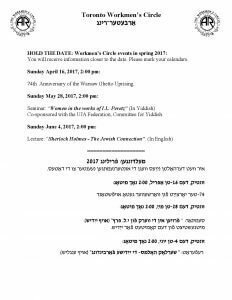 Workmen's Circle programs in the spring of 2017. This is not a complete list. Please check this page often as we will post new events as they are approved.